"V-Day" is right around the corner! It is of course a day when everyone wants to be a Valentine's Day "Cupid,"and avoid a Valentine's Day "massacre". 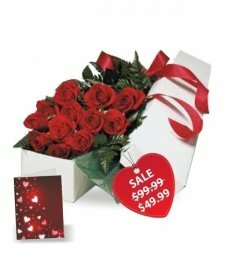 The pressure is on to find the right flowers and gifts to woo your special someone, while not going broke to do it. No worries! 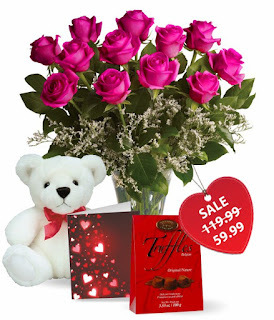 Bloomex has an amazing array of Valentine's Specials, including gorgeous flowers, chocolates, gift baskets, teddy bears, and other gourmet treats at some of the best prices in the land. And even better? 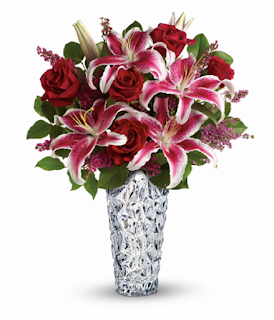 Everything is available for delivery across Canada so you can send your love across the miles. Check out a few of our best-value picks here! Let our talented florists create a superb Valentine's bouquet for you and your loved one and save BIG! 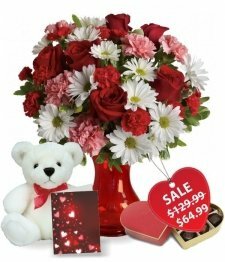 We have paired these beautiful themed bouquets with other popular gift choices to make for some winning combos at amazing prices. The delicacy and vivid beauty of spray roses makes them a perfect choice for your Valentine. 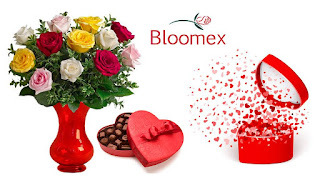 Bloomex has put together some wonderful specials for you this year. Stick with just roses, or add on other gifts for extra wow factor. Sweets for the sweet! If they prefer gourmet treats, Bloomex has a yummy assortment of gift baskets to please all tastes. Be sure to check out all the choices in a wide price range and you are sure to find the perfect gift. 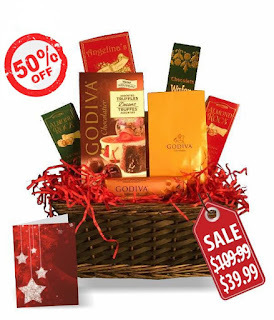 If they love chocolate, a Godiva or Lindt Basket is sure to delight! If your lady loves gifts that are vivid and unique, she will adore these "hot lady" roses! These come in a gorgeous shade of deep pink that will dazzle her. Paired with other gifts these make for wonderful combo specials as well. The rose is the iconic and timeless symbol of love and romance! Bloomex offers gorgeous, fresh, long stemmed roses to express your undying devotion this year. 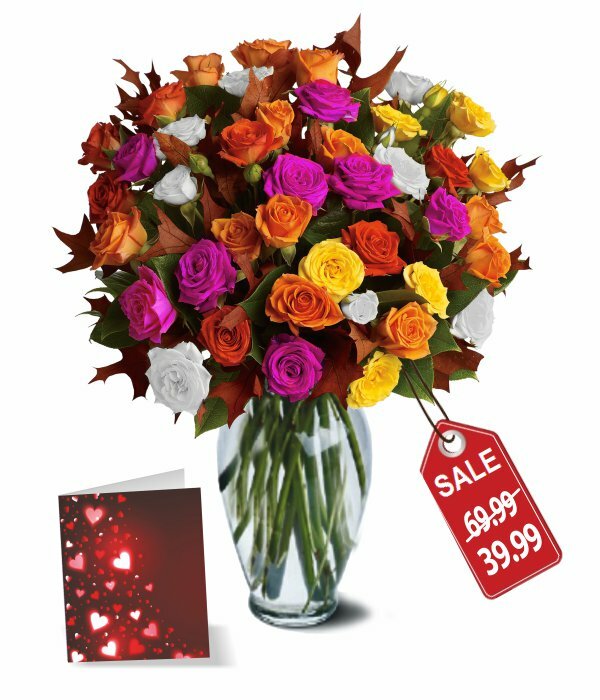 There are so many choices and we even have roses starting at just $19.99 -- so be sure to check them all! 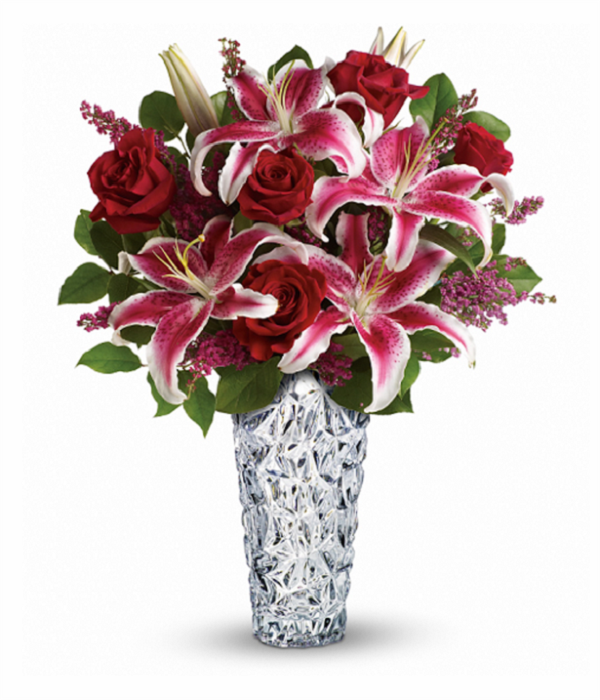 Flower lovers always appreciate the timeless beauty of a mixed bouquet, as it lets them enjoy the stunning freshness of a variety of blooms. Our talented florists can make a stunning mixed bouquet that is sure to win any heart.. at prices that will be right on budget!